If you adore decorating your home with exquisite clocks then grab the Doodle Station Clock. The amazing design with the wall clock feature makes it extremely convenient to decorate your home. Doodle station clocks are just the perfect kind of item to escalate the aesthetic beauty and grandeur around the house or your working spaces. This beautifully designed clock will give reminiscent of the ancient days and create a feeling of nostalgic appeal to anyone with a sense of classy taste. Doodle station clocks are gaining increasing popularity among everyone. Checking out the time is now fun to look at. It has classy appeal with profound beauty. 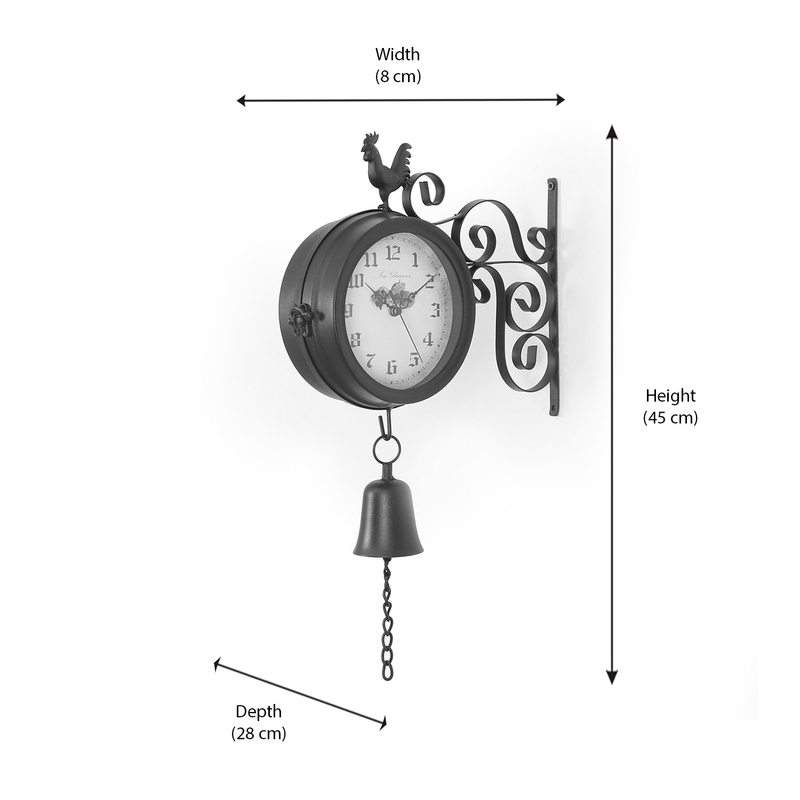 The clocks are made of both high-quality plastic and metals, extremely convenient to maintain. It is run by batteries. This clock transforms the overall appeal of your home from a monotonous one to a tempting and classy one. The round shape clock with wall attachment feature makes it extremely convenient to settle any place of your home as you desire. It is light weight up to 2.3kg and easy to maintain which keeps it long lasting. The high quality product escalates the elite look of your home. Grab the doodle station clocks to brighten your living and working space from @Home.